A method for enhancing the convergence rate of multiple-plane phase retrieval for smooth test objects with tilt illumination is proposed. The inclusion of a tilt factor in the initial guess phase and its benefits on the performance of the iterative phase retrieval algorithm are demonstrated. The technique was evaluated for objects with spherical phase having different phase depth randomizations. It was found that a depth of phase randomization of π/6 resulted in successful reconstruction of the test object wave used. C. R. Buco and P. Almoro. 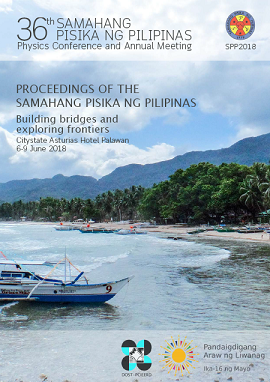 Enhanced wavefront reconstruction using multiple-plane phase retrieval of smooth objects with tilt illumination, Proceedings of the Samahang Pisika ng Pilipinas 36, SPP-2018-2D-03 (2018). URL: https://paperview.spp-online.org/proceedings/article/view/SPP-2018-2D-03.